Healthy neighborhoods are safe neighborhoods that have design features to reduce crime and violence, transportation-related crashes, and pedestrian and bike injuries. Check out the resources on this page to learn how community environments can be designed to support crime prevention – thereby increasing resident safety, facilitating resident involvement, and cultivating vibrant communities. These case stories highlight examples of incorporating public safety and creating healthy neighborhoods. 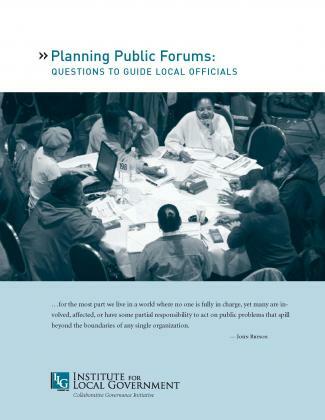 Each story includes lessons learned, links to additional resources and can serve as examples other agencies may consider and adapt to meet their communities’ unique circumstances. The Institute report, Emergency Preparedness in the Neighborhood, presents new models for empowering residents to participate in disaster planning and response.